Right now, given your industry’s economics, consider the cost and time savings potential of treating all your system’s valves like a “fleet.” Determine fleet economies. Generate fleet savings. This is ValvPerformance Testing™, ValvTechnologies’ innovative cycle isolation measurement program. At last, you can make a smart investment in the profitability of your operation by letting us provide superior services and product solutions backed by our specialized engineering and support staff, plus our worldwide network of representatives. 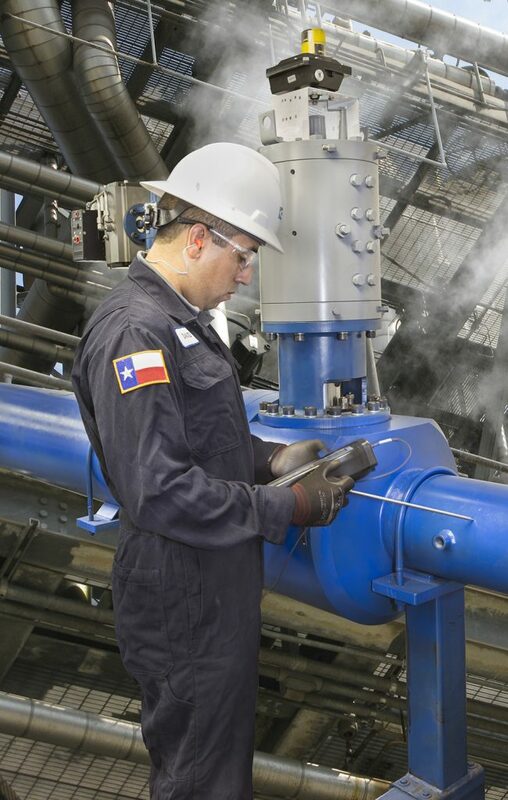 No other company is so qualified to help you turn valves into bottom-line savings. A program implementation includes operational cost assessments useful for prioritizing valve repair and/or replacement undertakings during pre-outage and for determining the success of the repair or replacement during post–outage. Gain better control of steam losses. Reduce the cost of fugitive emission. Every element of a ValvTechnologies ValvPerformance Testing™ is quantifiable: We report the numbers. Our results determine the cost of lost steam and return-on-investment calculations. We give you the building blocks of an in-depth history database for predictive replacement analysis. Not only are energy costs reduced, but maintenance cost reductions can be realized and shut-downs simplified. Ask us about our ValvPerformance Testing™ program savings for your fleet. The ValvPerformance Testing™ program is low-cost and fast time-to-value. Our technicians can test an average of 75 to 125 valves in a single day’s work without hindering plant operations and with minimal impact on process pipe insulation. Non-invasive. Benefit: Requires only small (0.5” diameter) penetrations in the insulation (sheathing) vs. other methods which may require the removal of large portions of pipe & valve insulation. This saves time & costs vs. alternate methods which require more extensive & costly removal & repairs to pipe & valve insulation. Quantitative results. Benefit: Most isolation valve diagnostics are qualitative (i.e. hot/warm/cold or red/yellow/green). Quantitative Results (e.g. 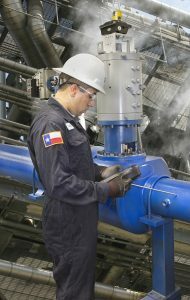 250 pounds per hour) make it possible/easier to prioritize which target valves more immediately require maintenance. Overall impact on plant operations (e.g. fuel cost losses per year or lost MW production per year) can be directly calculated from quantitative results. Background: In 2011-2012 leaking plant drain valves were allowing valuable cycle water and cycle energy to escape the plant processes. The annual cost of make-up water was excessive and levels of the requirement were approaching the design capacity of the plant to compensate for the losses. Requirement: With cycle water losses approaching the system capacity to make-up, there was an impending risk that production or megawatt generation would have to be curtailed to allow the system to catch-up, which would result in potential lost revenue. Risk needed to be mitigated and make-up water costs controlled. Solution: As a part of the client’s corrective actions ValvTechnologies was able to assist the client in identifying leaking valves using ValvPerformance Testing™, as well as provision absolute zero-leakage drain valves. The risk of lost generation was mitigated and make-up water cost savings were reduced by an estimated $169,033 (€122,400) per year. Click here to view ValvTechnologies’ case studies.